Hello and welcome back to the Hot List. This week we will turn our attention to the videogame industry, previewing for you our loyal readers the most exciting videogames set for release in 2019. Interactive media is becoming increasingly mainstream. Last year saw prestigious institutions like the V&A and the Smithsonian stage major exhibitions, while the Royal Albert Hall now somewhat routinely holds concerts of videogame music. Outlets like Netflix are blurring the line between gaming and traditional media by incorporating interactive elements, while simultaneously the wave of augmented reality games on mobile blur the lines between media and reality. This is an increasingly diverse industry. Casual games you pick up on your phone for five minutes, deep RPGs and sims that can last hundreds of hours. Art house, mainstream, indie and big budget blockbusters. They even make games for people who don't play games. 2019 is the perfect demonstration of this diversity. 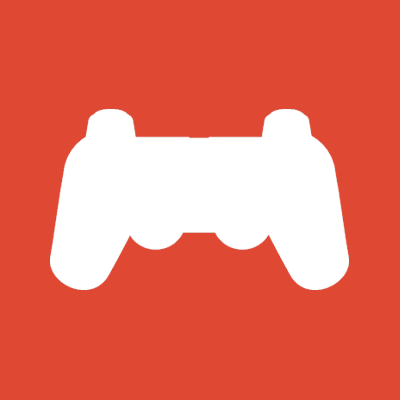 We've got a strong line up of mobile games, indie titles and sprawling AAA epics. It's even rumoured that the next generation of consoles could be revealed in 2019. Nintendo's sudden embrace of mobile gaming has taken many by surprise, but it makes perfect business sense. No matter how successful their Switch or handheld endeavours may be, there will always be more people who own a mobile phone. With that in mind, so far these releases have been relatively unambitious, highly simplified attempts at a Nintendo game (see Mario Run). It is hoped that this may change with Mario Kart Tour, due to release sometime by March 2019, and rumoured to be a fully featured, multiplayer capable entry in the legendary racing series. Mario Kart is one of those games that appeals to everyone, including those who might otherwise not play many games. That combination of fun, accessible gameplay, and addictive multiplayer shenanigans makes each entry a timeless classic. The prospect of being able to partake from anywhere, on iOS and Android, is tantalising. 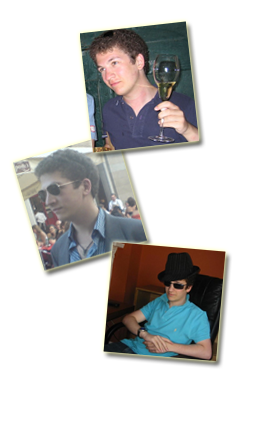 Paradox have built for themselves a niche in the game dev world, and it's a niche they occupy with sensational success. While the old masters of historical gaming, Civilisation, Anno and even something like Call of Duty, have increasingly trended away from realism and complexity towards casual, cartoonish styles, Paradox have done the opposite. Their brand of historical gaming is strategy of such depth and detail that it has spawned its own genre, grand strategy. Paradox's feudalism and colonialism simulators, Crusader Kings II and Europa Universalis IV respectively, are the gold standards of the genre. Their newest title Imperator: Rome seeks to bring that same love and care to a classical historic setting, in a game which looks to combine features of both. Starting in pre-Roman times circa 450 AUC, players will be able to control any province across a vast map of Europe (or even Rome itself) and guide them through history in a simulation which includes character and dynasty management, war, trade, and governmental politics. This looks like a typically deep and detailed Paradox simulation, and I'm very excited to dive in. Who says videogame companies never listen to the fans? The Age of Empires series has always held a fond place in the hearts of old school strategy fans, and in particular the 1999 classic Age of Empires II to this day retains a surprisingly devoted fanbase and active multiplayer and modding communities. So much so, in fact, that Microsoft even deemed to make one of the community's more popular mods an official expansion, some 15 years after the game's release. It seems Microsoft's newfound embrace of the franchise was not limited to just fan-made expansions and HD re-releases, and have announced Age of Empires IV, the first entry in the series since 2005. Little is known about the sequel, but the teaser trailer appears to imply a vast swathe of history will be covered, showing artwork from the bronze age right through to the colonial era. Release date is still to be announced. Four games in, and we have another mobile title. Bethesda's The Elder Scrolls series is legendary, with Skyrim still ranking among the world's best selling games, some eight years after first release. 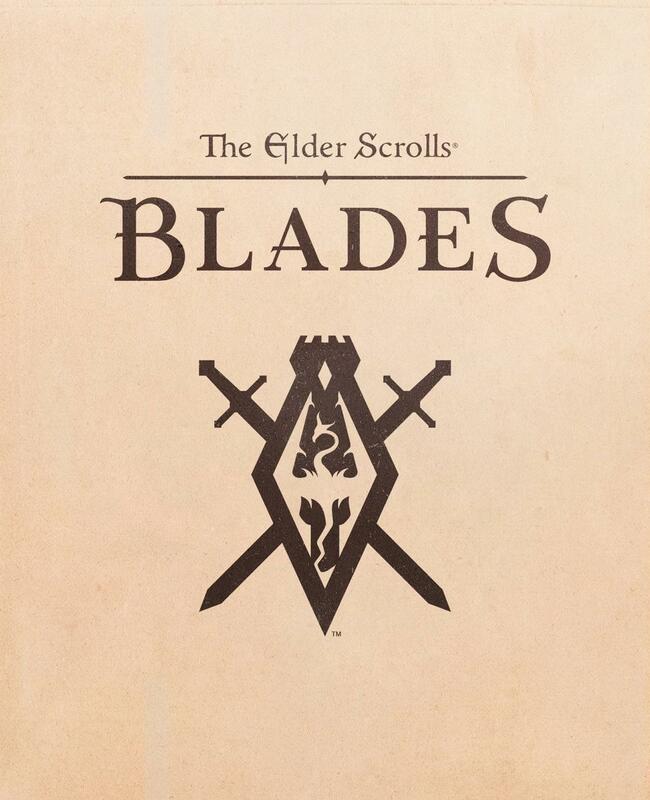 The latest entry in the series, Blades, seeks to begin a whole new obsession, by bringing The Elder Scrolls to mobile devices. Translating such a vast, sprawling experience to a handheld format might sound like an impossible task, but there's a deceptively deep game waiting here. In addition to the usual dungeon crawling and questing, Blades features procedurally generated maps and a new, never ending "abyss" mode. Add to this a whole new "town" feature, which tasks players with rebuilding and developing a ruined town, the expansion of which provides new quests and options, and can be shared with other players. There is a great deal of interesting sounding content here, and streamlined into a friendly, mobile interface. The design ethos here seems very much to be a more flexible Elder Scrolls experience. If you want to sink endless hours into customising and expanding your game, you can do so. If you want to pick it up for five minutes and enjoy a bit of questing, you can do that too. Sticking with a mobile theme, we come to the newest title from Inkle. When it comes to mobile games, Inkle come with real pedigree. Their previous game 80 Days ranks among the finest written works of interactive fiction, and remains my all time favourite travel game. Can a small studio make the jump to such a big budget project? Can a team known for its prose and simplicity show a flare for full gameplay? These are fair questions, but from what I've seen so far I am hopeful. If the writing is half as good as 80 Days, this will be a story well worth experiencing. In case you have not yet picked up on this, I am a sucker for games with excellent writing, and few in the business are better at writing than Failbetter. 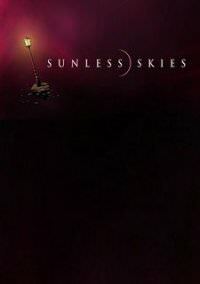 Their newest title Sunless Skies follows on from their hit debut Sunless Seas, adapting the macabre, Lovecraftian setting of the predecessor into a neo-Victorian sci-fi exploration game unlike anything you will have seen before. Explore, trade, and adventure your way across the Reach. Meet interesting characters and delve into the world's history. Sunless Skies has been in early access for a while now, with reviews so far promising. Will finally see its full release by end of January, and I'm pretty excited for that. I'm going to make a confession now: I was never really into Harry Potter. I never read the books, and I didn't see the films until very recently. Nevertheless, when early footage leaked of this still yet to be officially revealed game, Harry Potter: Magic Awakened, I was intrigued. A full, story driven game in which players design their own character and live the life of a young wizard. RPG elements allow for extensive customisation, skill and power training, and branching decisions. 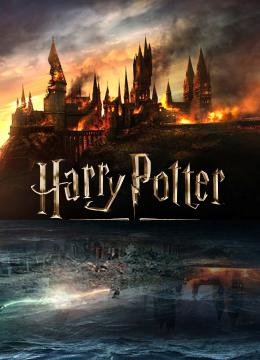 Choose your house, your friends, and generally immerse yourself in one of fiction's most beloved universes. It has obvious appeal. While the leak generated a good deal of buzz, there is still very little known about this game. We don't even really know who is making it, although rumours abound. Despite this, the word on the ground is that development is actually fairly far along, with an intended 2019 release still on track. A few years ago and Nintendo's relatively obscure fantasy franchise was on the ropes. Years of poorly selling iterations, many of which never even made it to western markets, had put the developers on the brink of closure. Then came along the 3DS's fantastic Fire Emblem: Awakening. For those unfamiliar, Fire Emblem is a series of turn-based strategy in a fantasy setting. What makes this series stand apart are the characters. Players build a team of characters each of whom are fully customisable with the ability to switch up classes and gear, fully fleshed out with the ability to generate dynamic relationships and stories. But the most important element is simple: permadeath. When one of these characters die, they stay dead, making each decision more impactful, and your relationship with that character all the more direct and personal. 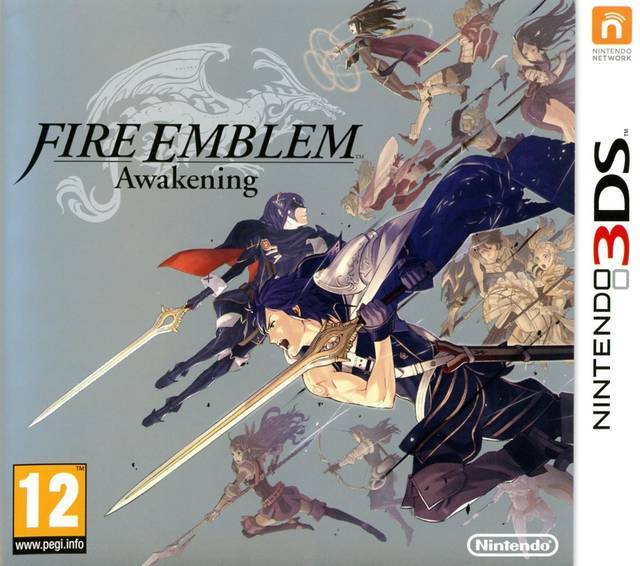 Awakening was quickly followed by the well received Fire: Emblem Fates, and an apparently highly lucrative iOS version Fire Emblem: Heroes, but one thing has been notably missing from this newly revitalised franchise, a proper home console edition. In 2019 this will be rectified, with the release of Fire Emblem: Three Houses for Switch. Award winning film studio Annapurna made their debut in videogaming with the spellbinding What Remains of Edith Finch. This year they will look to follow up this success with their second title The Artful Escape. The concept is quite unique. Players take the role of aspiring folk musician Francis Vendetti on a journey to reinvent his musical and stage persona. The result has been described by the game's lead developer as "David Bowie traveling off from London on an interstellar trip to create Ziggy Stardust". 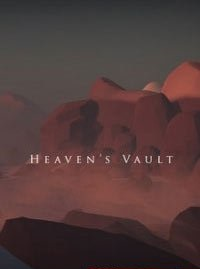 In terms of actual gameplay, this takes the form of a musical platformer which sees Vendetti's performances depicted as journeys through mind-bending fantastical and sci-fi landscapes, with occasional rhythm-based music sections to pass. Frankly it's stunning to look at and listen to, with a pleasurably relaxing pace to it. With the release of 2016's excellent Oxenfree, Night School Studio became one of the hottest new game devs in the industry. Afterparty marks their first major project since that breakthrough, and further refines the formula that made their debut such a success. So what was so good about Oxenfree? The art style, the characters, the dynamic, well written dialogue. It was a remarkably slick and engrossing graphical adventure for a team of such limited experience. This follow up looks to be more of the same: a witty narrative journey following two newly deceased twenty-somethings in a pub crawl across hell itself. Release is expected sometime this summer. Looks like great fun. I'm really not all that into wizards, and yet here we are for a second time. This one looks particularly special. From the people behind Starbound and the wildly successful Stardew Valley comes Witchbrook, a wizard academy RPG/life sim in the mould of a Stardew Valley, with combat reminiscent of the Legend of Zelda. Much in the same vein of a Stardew Valley, the concept of Witchbrook is less of a focused singular narrative, and more of a "here's a fun, interesting world, go live in it, enjoy being in it". While there will be a main storyline, with fleshed out lore and characters, the idea is very much for this to be a more open ended experience. While further detail is thin on the ground at this time, the title has apparently been in development for a few years now, with release anticipated for sometime in the coming year. I love a good indie game, but few make a debut as eye-catching as Sable. Produced by two lifelong friends in their basement, Sable promises to be a contemplative adventure focused around exploration, with a Gibli-esque aesthetic and stunning hand-drawn art style. It's certainly one of the best looking games to pop up in recent years, but such an insular game is always going to succeed on the merit of its storytelling. It is fortunate then that the award winning Meg Jayanth is behind the story. If she can build the world of Sable with the same flair and aplomb as Sunless Seas or 80 Days then it could be a memorable experience. Releasing initially on Steam, with a later launch on Xbox Live, we should see this one close to the summer. Few things are as exciting as reading "Obsidian" and "new RPG" in the same headline. When the original creators of Fallout put their skills to work, the result is rarely anything short of excellent. Case and point, the team's last foray into the world of Fallout (now wholly owned by Bethesda), Fallout: New Vegas is considered by many to be the best in the series, while their more recent Pillars of Eternity series went on to become one of the most successful examples of crowdfunded game design. The Outer Worlds is an entirely new IP, very much in the format of the recent 3D Fallout titles. Set in a deliciously colourful future where mega-corporations have begun to explore and colonise distant worlds, players create their own character, pilot a spaceship, and explore those worlds. That same sense of humour and satirical writing is present, along with Obsidian's typical flair for branching storytelling and player-driven plot design. What makes an Obsidian game special is that focus on player-agency. Players should be able to play whatever kind of character they want, however they want, and their actions and behaviour should have a real, tangible impact on the world around them. From what we've seen, this is going to be wildly good fun, and we expect it to drop in the latter half of 2019. But in close competition with the original creators of Fallout, the current owners of Fallout! That's right, Bethesda's next big single player title is also a spacefaring RPG, Starfield. Most of the details of this title remain shrouded in mystery, but rumours suggest a grand space opera in the style of a Mass Effect or Star Wars, with open-world exploration built around the same concepts as Bethesda's tried and tested Fallout and The Elder Scrolls series. Quite how this will adapt to a game which allegedly features multiple worlds and the ability to fly a spaceship is anyone's guess, but the few teasers we have seen point again to titles like Mass Effect for hints. Despite the radio silence, Starfield has apparently been in development for a number of years at this point, having entered early production just after the release of Skyrim. The suggestion being that this is much farther along than one might otherwise expect. We could see a release in time for Christmas this year. While the latest project from CD Projekt Red, a developer best known for the celebrated Witcher trilogy of games, did not make release in 2018, we did at long last get a first full preview. 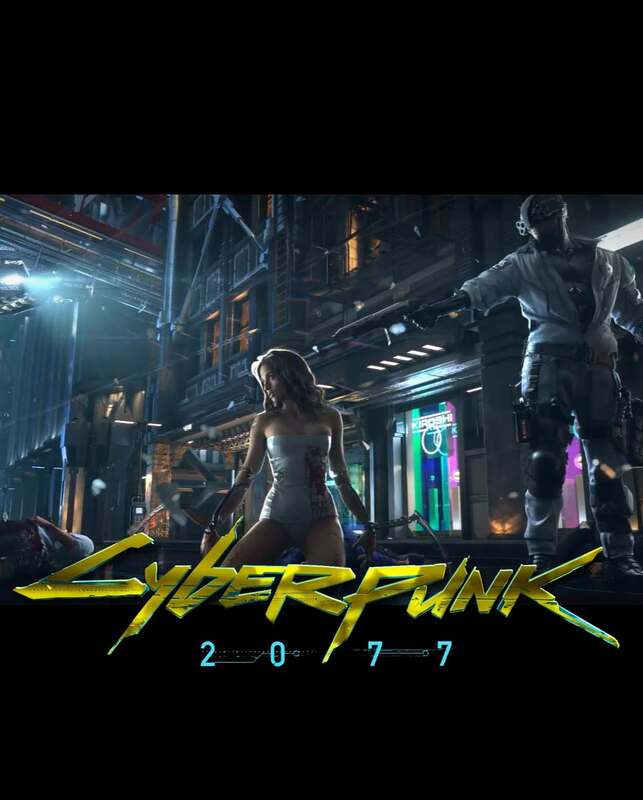 Cyberpunk 2077 is an RPG set in a tantalising Cyberpunk setting in near future California. The impressive reveal trailer at last year's E3 showed off a seamless, living open world, and a series of quest and character design systems that allow for a remarkable level of player agency. It is said that every mission will have multiple paths to completion, allowing for a high variety of playstyles and roleplaying options. While a firm release date has proven elusive, rumours abound that 2019 will be the year, fuelled in part by a now deleted tweet from European retailers. This is further supported by comments from the developer's most recent financial results, which suggested that the game was at quite an advanced stage, with release near. So there you have it folks: 2019 in videogames. Tune in next week for the most exciting new theatrical productions coming this year!